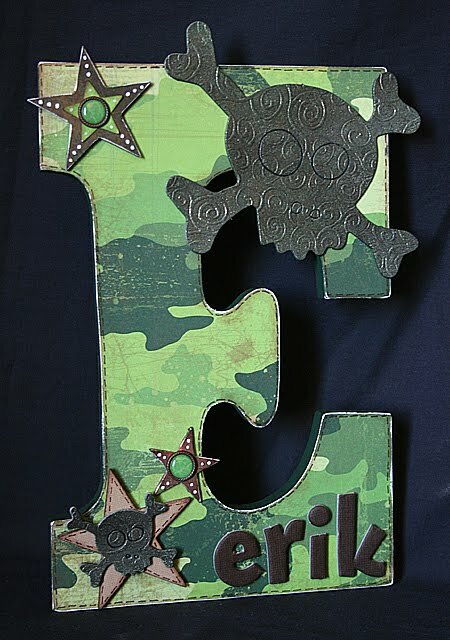 I've had this letter E forever so I finally decided to do something with it. 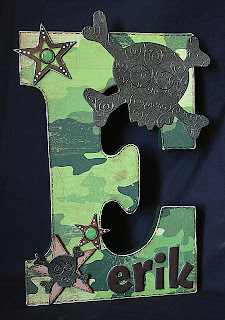 Of course E stands for my son, Erik and Erik is a big time camo fan. 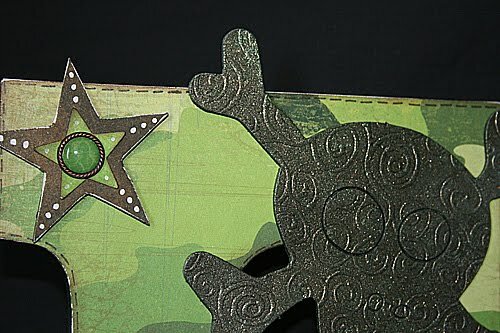 So I used pattern papers from the Bo Bunny Roughin' It line with the camo pattern as the main paper. 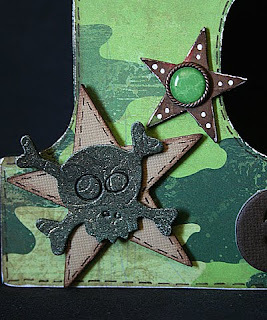 I Glimmer Misted a couple Tim Holtz grungeboard skulls and I think they turned out amazing. I really love the way everything came together and more important.....my son thinks it's awesome! 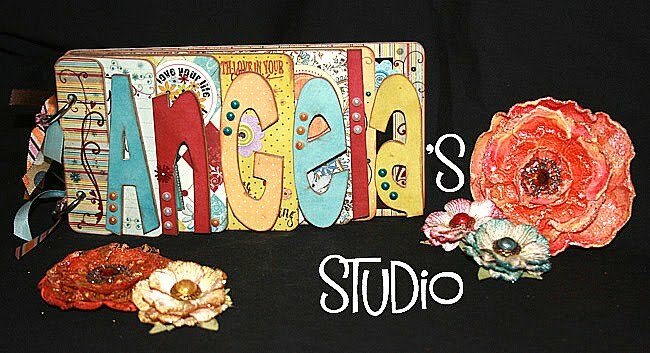 These altered letters are so cute Angela! I bet the kids love them!! !